The Bermuda Junior Girls National Teams traveled to Tampa, Florida to participate in the Tampa United Slam, with the event marking the first time Bermuda has sent three girls teams to this event, including an U14, U16 and U17 team. 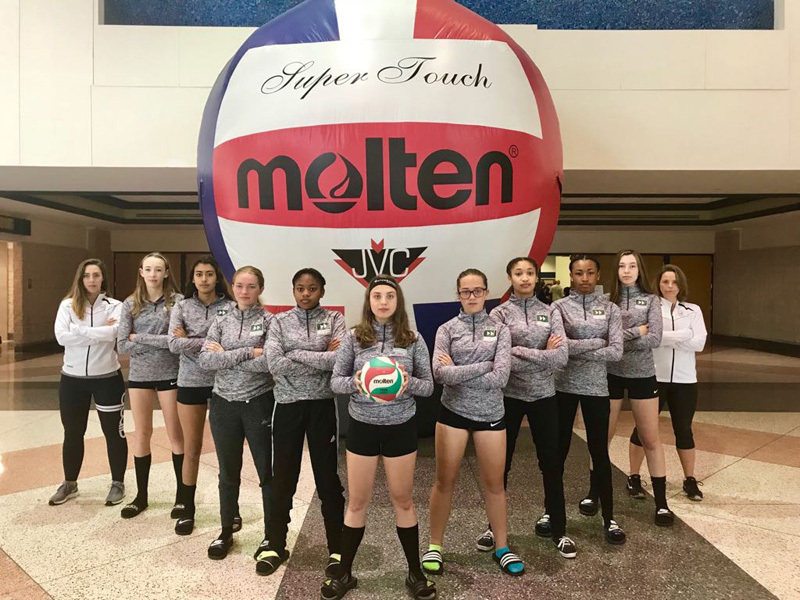 The Bermuda Volleyball Association said, “The U14 team, Little Hitters, was coached by Mike Gazzard and Lisa LeBlanc. The Little Hitters have only been training together for seven months prior to traveling to this event. 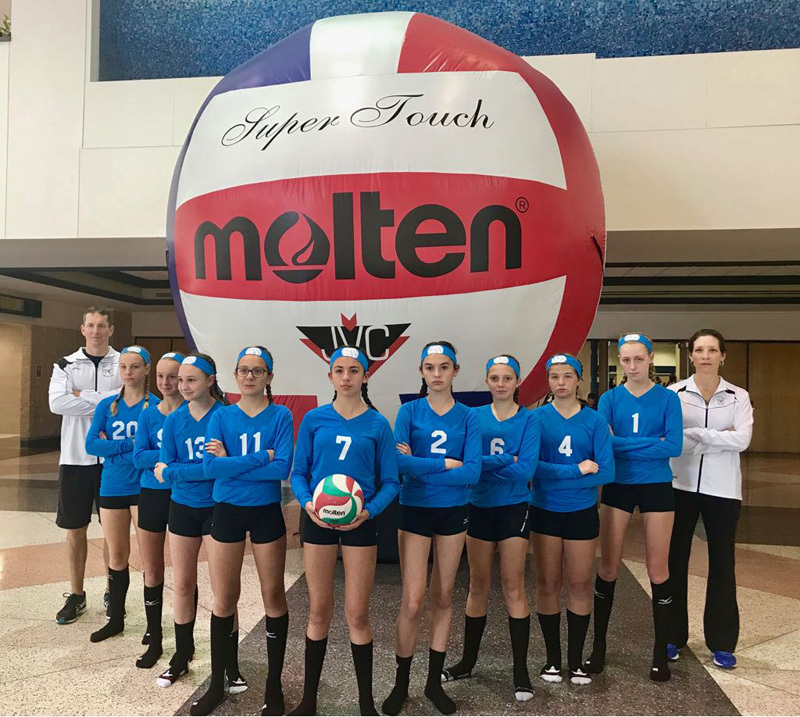 “This tournament served as a great learning tool for the team, they were able to see and experience first-hand what it takes to be a successful volleyball team which is invaluable in their early development. “The Little Hitters competed against seasoned teams displaying heart and determination from start to finish. Their perpetual game-face stamina spoke for themselves with scores as high as 19-25. “We are exceedingly proud of their efforts and we are confident that the lessons learned from this tournament will fuel their future development as successful volleyball players, and more importantly help in building a competitive team which Bermuda can be proud of. 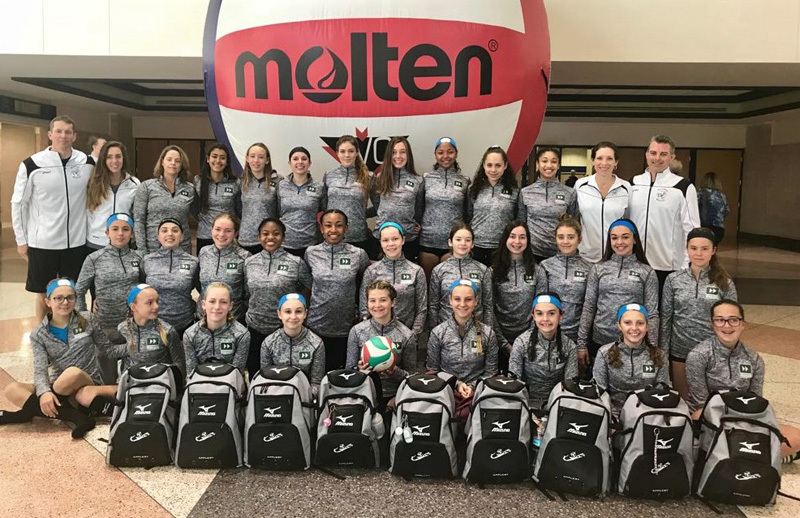 “The players traveling were: Natalie Gazzard, Megan Hands, Ashley Horseman, Kyra Kucharik, Jocelyn Manuel, Anna Marcotte, Kolby Martins, Taylor Rego and Daniella Stegmann. The U16 team, Junior Hitters, was coached by Allison Settle, assisted by Beth Rae. Coach Settle said, “The girls played hard and I can already see how much they have improved from the experience. A win for one team is a win for the whole program. The players traveling were Kayla Caldwell, Kylah Hall, Olivia Hill, Layla Kurt, Cailey Longworth, Alexa Saldok, Zori Seymour, Amber Simons and Ashley Soares. 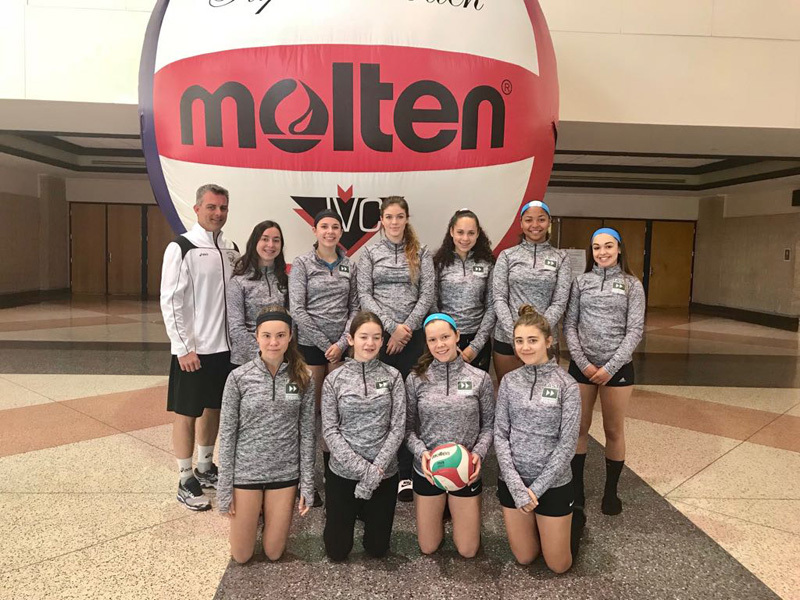 The U17 team, Paradise Hitters, was coached by Gary LeBlanc, who said, “I am extremely happy with how the Paradise Hitters performed during this tournament. “This tournament finish is the best since the team started participating in the JVC Tournament series back in February 2015 and is a direct result of the hard work and effort that our girls continuously show. “What makes this finish even better is that this year is a rebuilding year as many players moved on after last season and we were faced with many changes from previous seasons. The players travelling were Monique Cordeiro, Yulia Isaeva, Natasha DeSilva, Caroline Amaral, Sy McPeek, Kamryn Martins, Katrina McPhee, Erin Cardoso, Olivia Taylor and Kelise Stewart. Why aren’t their tracksuits of our national colors? Don’t ask, just sponsor them for new national color uniforms. … I probably will if they wear it with pride. Volleyball admin dropped the bomb on choosing these odd colours to represent our country.